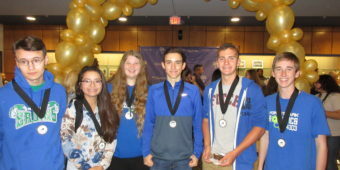 Congratulations to Josh, Alexi and Riyanka who were selected to attend the 2019 Summer Residential Governor’s School for Math, Science and Technology at Lynchburg University where they spent the summer studying digital circuits, advanced math, cyber security and other STEM topics with 160 gifted youth from across the state. Congratulations to Matthew and Katherine for their outstanding performance at the SeaPerch National Championship held at Georgia Tech. They finished in 11th place overall out of a competitive field of over 100 teams from around the US and Puerto Rico. Congratulations to 4303C team member Katherine Cinnamon who won the 2018 NCWIT Aspirations in Computing Award, National Honorable Mention and Winner in Virginia. 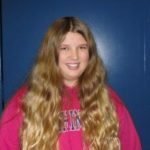 She was honored as one of the top 400 HS girls in computing across the nation! We are so proud of you! Congratulations to those selected for the Forest Park Robotics team! The team list is posted outside of Room 1157. Get Ready for VEX Robotics Turning Point! All students should read the game manual and have a thorough understanding of the game.